KOLKATA: Shale gas may turn as a boon to West Bengal's investment map with a potential of Rs 50,000 crore over the next several years but proper regulatory framework, environmental or social factors needs to be handled properly. "In West Bengal shale gas and related sector offers an investment potential of Rs 50,000 crore and huge employment opportunity," state Finance minister Amit Mitra said on Wednesday at FICCI organised Gas Industry in West Bengal. 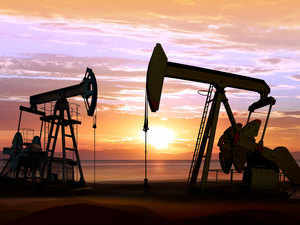 Great Eastern Energy Corp (GEECL) and Essar Oil who are producing CBM in the Ranigunj belt had expressed interest in exploring and extracting shale gas and under the new licensing regime government has allowed shale exploration from CBM blocks. "GEECL had already announced to invest USD 2 billion over next 10 years in shale gas extraction. Given the opportunity in existing blocks and potential blocks investment could as high as Rs 50,000 crore," GEECL MD & CEO Prasant Modi said. He called for conducive regulatory framework and increasing the licensing period to make it viable to invest in the project. Investment from Essar Oil will be similar as the reserves for both are almost similar. The Raniganj block has a shale gas potential of 7.7 trillion cubic feet (tcf), Essar officials had said earlier. But, several experts have flagged environmental and social concerns in shale gas exploration. An environmental NGO had urged the government to undertake research to explore the link between fracking, groundwater resources and 'land subsidence' before auctioning the the shale blocks. A presentation made by a West Bengal Pollution Control Board official earlier said water requirement is 11,000 to 15,000 m3 for one well (the estimate is of the same order of 7-19 million litres per well according to a field data from a US gas field). Since the wells are horizontal and multilateral, there is high possibility of ground water contamination which may be a concern for the people in the belt, the presentation has said.